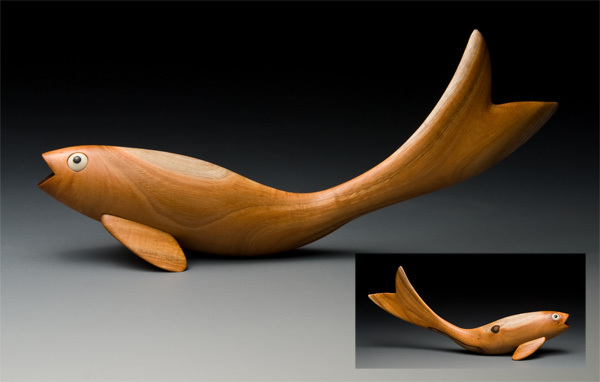 Hooked On Wood - The allure of the Fish Decoy, and - Life Aquatic. I carved four fish in response to the invitation to create pieces for the Life Aquatic exhibition. I enjoyed discovering what fish decoys are, and chose to use that interest to carve fishes, rather than following another inspiration source.